The Central Bank has upgraded its growth forecasts for the Irish economy, citing strong growth in full-time employment, incomes and consumer spending. The bank said it now expected the economy to grow by 4.9 per cent in gross domestic product (GDP) terms this year, up from a previous estimate of 4.5 per cent, and by 3.9 per cent next year. 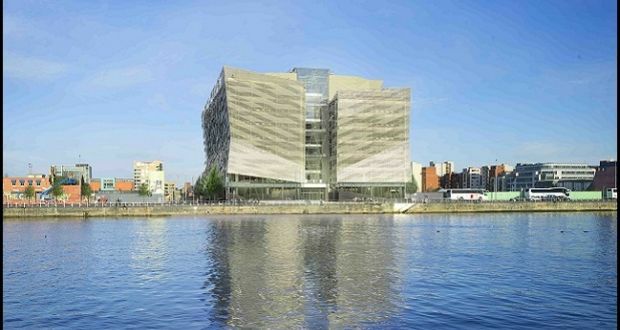 In its latest quarterly bulletin, the Central Bank delivered upbeat assessment of the Irish economy. It predicted the economy would deliver an additional 90,000 new jobs by the end of next year while unemployment would fall to a 10-year low of 5.6 per cent. “The economic outlook for Ireland remains strong, boosted by employment, wage growth and consumer spending,” the Central Bank’s chief economist Gabriel Fagan said. “The growth in full-time employment is particularly notable and outpaces overall employment growth as part-time work increasingly becomes full-time,” he added. Despite the positive projections, the bank said external uncertainty in the form of Brexit, exchange rates and global trading conditions continued to pose a risk. “The impact of Brexit to date has been fairly muted and mainly felt through the effects of a weaker pound,” Dr Fagan said. “Far from dampening consumer sentiment, Brexit is keeping the costs of many imported goods down. Although this is good news for many Irish consumers, we must not underestimate the threat that Brexit poses to our longer-term prosperity given our exposure to the UK economy,” he said. In its report, the Central Bank said investment in building and construction continues to recover strongly with housing construction up by 31.8 per cent in 2017, although this comes from a very low base. Nonetheless, the bank revised down the likely level of house completions it was predicting for this year to 18,000 units and to 21,000 for 2018. It also said that export growth for 2017 had been revised down slightly to 4.9 per cent, following weak contract manufacturing exports in the first half of the year.